The exhibition is a primary site of cultural exchange; part spectacle, part socio-historical event, and part structuring device, exhibitions establish and administer meanings of art and cultural heritage. Temporary exhibitions increase in cultural importance, while the traditional role of museums as institutions of Bildung transforms—even museums with well known and established collections follow the call for ever changing exhibitions. 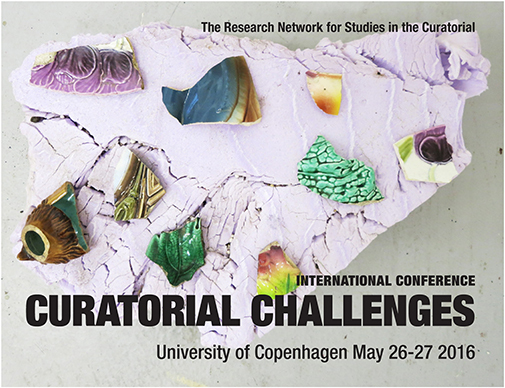 Understanding the changing role of curating in this process calls for new research. As exhibitions gain in importance, so do curatorial strategies: What constitutes the curatorial? What sort of knowledge is produced in and through curatorial strategies? How do curatorial strategies inform museums in contemporary society and what sort of conservative, or perhaps critical and transformative potentials can be traced in exhibition cultures?